2 patios, gas bbq, picnic tables. This is a NON-SMOKING-NO PETS rental. Please review our availability calendar on website. JoAnn is a very welcoming host. Her place had everything we needed, and was very comfortable and within walking distance (on a nice trail) from a beautiful beach. We especially loved the sun-filled cozy living room and the firepit outside for marshmallows. We'll be back! This was just right for a relaxing few days with the family. The house was very comfortable - thanks again, Jo Ann! Glad you were happy with your stay. This cottage was perfect for our family gathering. The location makes for easy access to the beach, grocery store and highway yet very quiet neighborhood. The kitchen is well apointed and all in operating order. This was a lovely “Welcome Home”with all the cozy blankets and beach toys! Very nice location. Loved walking down the street to watch the sunset. 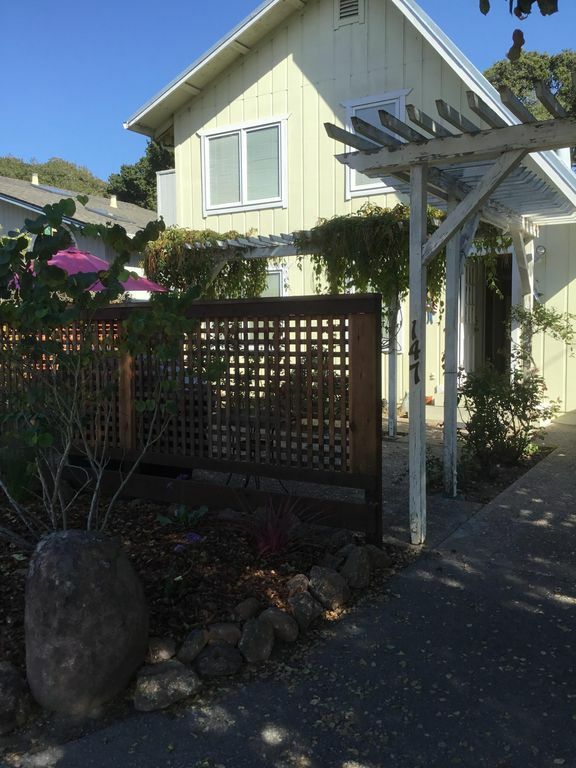 We enjoyed our stay at this Aptos property. We came in for a family wedding and found it to be spacious and nice and in a great location. JoAnn even provided a pack-n-play for our little grandson. She was very accommodating to our family and quick to respond to any questions we had. The house was close to town and we walked to a lovely restaurant for breakfast most mornings. Thank you for your kind words. Glad Our home fit your needs. The ocean breeze was wonderful. Nightly Rate: $195 - $250 Weekly Rate: $1300 - $1600 Monthly Rate: $4500 - $4500 Monthly, $4500. Weekly, Sunday to Sunday, $1600. From May 28 to Sept. 30 or $250 per night, 2 night min. Daily, two night minimum October 1 to May 27 $195 per night, Weekly $1300. Cleaning $100. per rental period. A $200 deposit required for deposit/security fee. Add 11% tax to rental fee.